After shampoo, use treatment cream for head skin and hair, massage with the cream, and pack hair with steam. At the same time, massage shoulder, neck, and arms, so you can relax on upper half of body. It cleans old pores, improves nerve condensed head part blood circulations, and makes your hair and skin beautiful. Facial Treatment; clean old pores and old skin. Face massage has effect of removing skin darkish by eye-tiredness, and recovering brilliant expression on your face. You can expect moisture finishing. 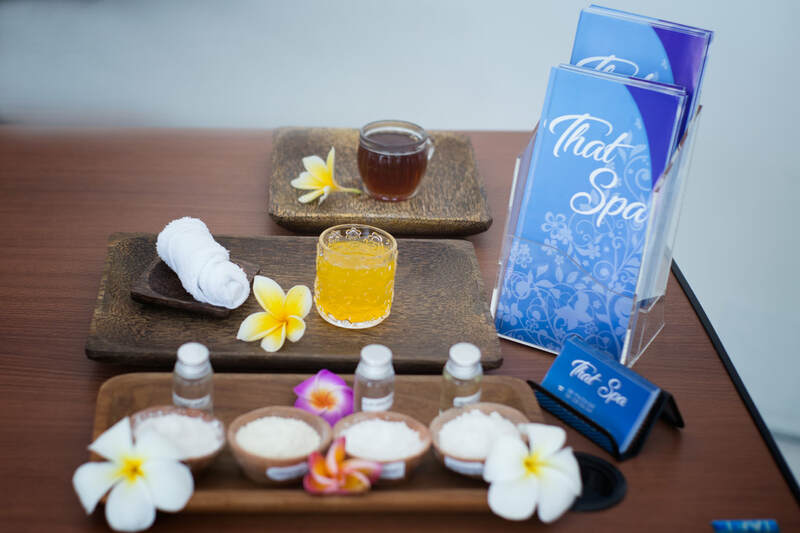 It is the traditional Balinese treatment. With Aroma Oil, massage whole body spots by palm pressure. It has effects of improving blood circulation and lymphatic circulation, so it is appropriate strength for tiredness of travel. Feel hand healing from ancient time. This is the treatment of putting cooled natural stones and warmed natural stones on spots in while body and has effect of hotness and coldness. Natural stones have infrared effect and it warms on the deep part of body; good effect for blood circulations and improving metabolism. Body massage by warmed favorite aroma oil. 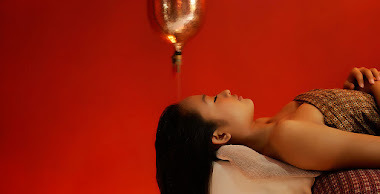 Not too strong massage makes your body relax by improving lymph cycle. Less pressure than Balinese massage. In Hindu, the part between both eyebrows is considered as "foresee" organ and called cakra (the third eye). 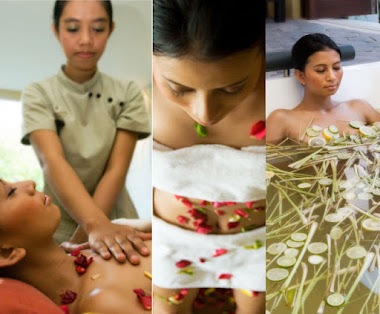 Shirodara is the healing treatment of meditation effect that put oil from India on cakra. It’s one kind of Ayurveda. The effects are improving healthiness, unstable body condition, diet, psychological stress, sleeplessness, and uneasiness.